As part of a continued partnership with Apple, IBM on Tuesday announced an extension of the MobileFirst for iOS program that integrates Watson cognitive computing technology to bring natural language processing, deep data analytics and more to iOS 10. Debuted at the World of Watson event in Las Vegas, Watson's advanced APIs can now be incorporated into both MobileFirst for iOS apps and custom-built business software crafted by IBM on a case-by-case basis. IBM worked to optimize Natural Language Processing, Watson Conversation and other in-house APIs to work seamlessly with the new iOS 10 speech framework, the company said. With Watson, users can interact with apps using conversational language, much like they would a virtual assistant. For example, service technicians are able to speak to the Find & Fix app to request a schedule modification. The app consequently notifies dispatch and automatically adjusts remaining jobs listed for the day. Additional voice prompts allow techs to ask for suggestions relating to specific problems, adding another degree of hands-free interaction. "This is a digital assistant for the business —one that creates the next-generation professional experience tailored for enterprise processes," said Mahmoud Naghshineh, IBM's general manager, Apple partnership. Alongside speech recognition, Watson's cognitive capabilities allow apps to better parse complicated data sets, and are able to "to understand, reason and learn based on deep data analytics." 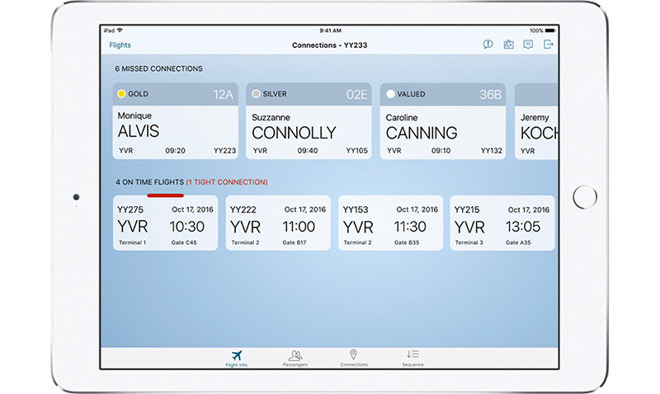 Examples provided include the Passenger + app, which flight attendants can use to gain insight into a traveler's personality. Diving into opt-in data histories, Watson is able to surface relevant information like a customer's favorite snacks or beverages, a penchant for priority seating or the need for specialized services. Other examples include the retail centric Sales Assist app, which leans on Watson to gather data from customer databases and product forums to deliver information on a buyer's unique tastes. Financial advisors might also tap Watson's learning capabilities to conduct targeted market research and analysis to furnish investors with bespoke recommendations. IBM notes Watson mines data only from opt-in databases, an important measure in protecting customer information. Since Watson is cloud-based, the features unveiled today, as well as upcoming functions, are easily integrated into existing MobileFirst for iOS apps. Apple and IBM partnered on the MobileFirst initiative last July in an effort to create business solutions built around Apple's iOS platform. Under partnerships terms, IBM handles hardware leasing, device management, security, analytics, mobile integration and on-site repairs, while Apple aids in software development and customer support through AppleCare. Earlier this week, the companies announced IBM Watson Element for Educators, their first MobileFirst collaboration for education.